Home / animation / articles / CP / web animation / web animation watch / Web Animation Watch: 'Tokyo Cosmo', 'Fetch' and more.. Web Animation Watch: 'Tokyo Cosmo', 'Fetch' and more..
2D animation still rules the roost in Japan. In more recent years, efforts to transfer the traditional anime aesthetic to CG have had some decidedly mixed results. This short Tokyo Cosmo however, is one of the best pieces of CG animation we've seen come out of Japan to date. A simple story of a young woman daydreaming her way out of her humdrum daily life, it's incredibly charming, and beautifully realised. By Takuya Okada. 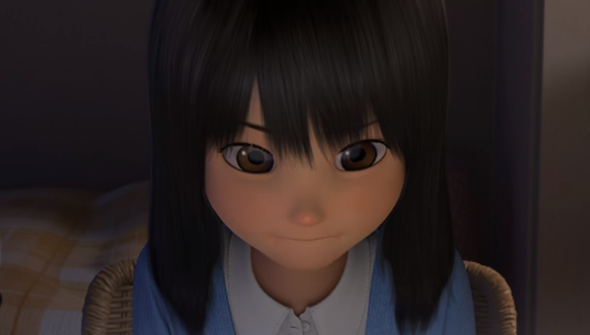 Short but sweet, this lovely short Fetch gave us serious 'Neil Gaiman meets Miyazaki' vibes. That is A Very Good Thing, in case you don't know. The Spindo Channel that brought us the ace Beat Down also brings us this nicely done spooky-themed kid-friendly animation (released in time for Halloween) created by Nick Lyons. This one reminded us of some of the dream sequences in Satoshi Kon's seminal Paprika. Made as a music video for the BEATSOFREEN (nope, us neither) track Slowly Rising, it's a treat for both the eyes and ears. Directed by Hideki Inaba.